The rental housing developments listed below are among the thousands of affordable units that are supported by City of Chicago programs to maintain affordability in local neighborhoods. The list is updated periodically when construction is completed for new projects or when the compliance period for older projects expire, typically after 30 years. The list is provided as a courtesy to the public. It does not include every City-assisted affordable housing unit that may be available for rent, nor does it include the hundreds of thousands of naturally occurring affordable housing units located throughout Chicago without City subsidies. For information on rents, income requirements and availability for the projects listed, contact each property directly. For information on other affordable rental properties in Chicago and Illinois, call (877) 428-8844, or visit www.ILHousingSearch.org. All lobbyist registration fillings submitted to the Board of Ethics during the 2010 reporting period. 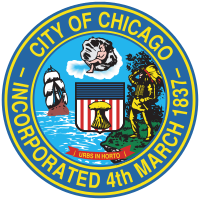 / All lobbyists must register with the City of Chicago Board of Ethics by filing a Statement of Registration within five business days of engaging in lobbying activity and annually thereafter by January 20th. Lobbyist registration information is submitted to the Board of Ethics in paper form and is available in its entirety in the Board's offices. The Board has, since 2000, compiled and posted static lists of all lobbyists and their clients online. Data for the 2010 reporting period is limited because previous policy did not require the Board of Ethics to prioritize the reporting of all data available from paper filings. List of all Chicago streets with suffixes and minimum and maximum address numbers. Small Business Improvement Fund (SBIF) program grants made since 2001. SBIF uses Tax Increment Financing (TIF) revenues to help owners of commercial and industrial properties within specific TIF districts to repair or remodel their facilities for their own business or on behalf of tenants. For more info, go to http://bit.ly/p91J7T. NOTE, 11/20/2018: Please see http://dev.cityofchicago.org/open%20data/data%20portal/2018/11/19/public-chauffeurs-changes.html for recent changes to this dataset -- List of City of Chicago licensed Public Chauffeurs, who may operate a licensed Taxicab, Livery, or Horse-Drawn Carriage. For questions or issues regarding this dataset, please e-mail BACPPV@cityofchicago.org with chauffeur name, number, and question or issue. For more information on the Public Chauffeur program, please see http://www.cityofchicago.org/city/en/depts/bacp/supp_info/public_chauffeurinformation.html. Data Owner: Business Affairs and Consumer Protection. Time Period: January 1, 2002 to present. Frequency: Data is updated daily. Chicago Public Library locations, contact information, and hours of operation. All open graffiti removal requests made to 311 and all requests completed since January 1, 2011. The Department of Streets & Sanitation's Graffiti Blasters crews offer a vandalism removal service to private property owners. Graffiti Blasters employ "blast" trucks that use baking soda under high water pressure to erase painted graffiti from brick, stone and other mineral surfaces. They also use paint trucks to cover graffiti on the remaining surfaces. Organizations and residents may report graffiti and request its removal.